Big news for those who need to manage their entire business on the go! You can now access your entire Bookeo dashboard from your mobile device – not just the Home, Calendar and Customers sections. That means your Marketing, Settings, Account, and all other dashboard areas are now available to you – anytime, anywhere. Want to quickly create or edit a promotion while you’re waiting to board your plane? Need to update a schedule on the train? Now you can. 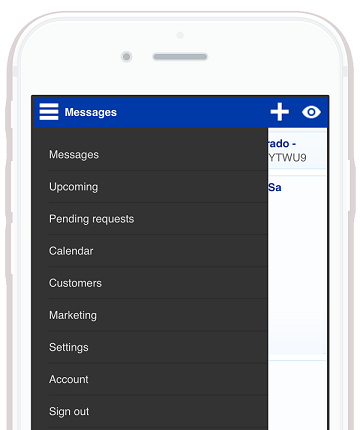 Bookeo’s mobile usability is improved too. Now you can see the name of the feature or setting you’re viewing, right next to the hamburger menu where you select the account settings you want to access. 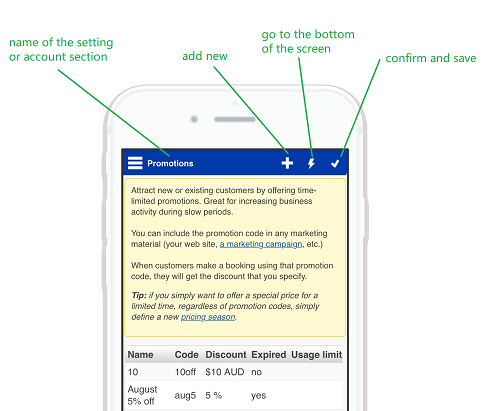 Our intuitive icons make it simple to quickly add or create items – like promotions… whatever you want, on the fly. With this new upgrade, you can run your entire business in the same way, whether you are sitting at your desk or on the go. As always, we want to hear your feedback. 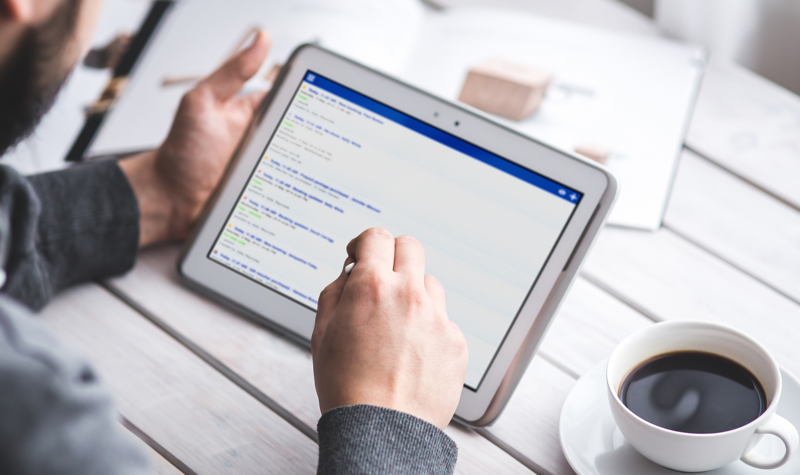 Please let us know how Bookeo’s fully mobile dashboard interface is working for you. Happy tapping! 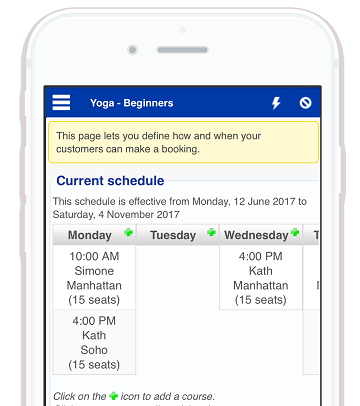 Better Booking Page, New Drop-in Classes and more features!